Guided meditation practices to grow your heart. In Season 1, we will tune the skill of loving kindness towards ourselves and others. Through these short and accessible meditation practices, we will find ease, joy, and freedom while inviting kindness into the heart to allow us to enjoy our lives more fully. 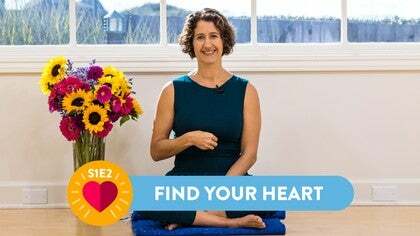 Kira welcomes us to Season 1 of Heartful, where we will tune the skill of loving kindness towards ourselves and others. 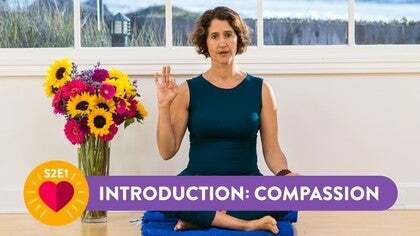 In Season 2, Kira will guide us through meditations that focus on compassion to help increase our capacity to be with what is. Through these brief meditations, we will enhance our skills of feeling grounded, open, and soft. Kira welcomes us to Season 2, where she will guide us through compassion meditations to help increase our capacity to be with what is. Kira guides us in a meditation to begin to tune our skills of compassion by learning to feel more grounded on the earth and in our life. Kira guides us in a meditation to bring our attention to our suffering so that we can begin to tune our skills of compassion toward ourselves. In Season 3, we will explore the Buddhist meditation practice of Tonglen. These practices are designed to take direct aim at the part of us that causes all of our suffering, which is our self-cherishing nature of the mind so that in turn we can be more loving and compassionate. Lets bravely dive in! Kira welcome us to Season 3, where we will explore the Buddhist meditation practice of Tonglen. In preparation for the practice of Tonglen, Kira offers a talk on separate self so that we might bring awareness to the root of our suffering. Before putting the Tonglen meditations into practice, Kira gives a little background information on how it all works.